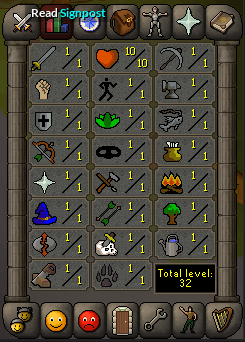 I''ve been playing runescape for over a year now and im at a place where it makes money and pays for itself. so i want to help people start from scatch and make there first million and how many hours it takes me to make it as i work and keep my other account working to. i'll show you in guides and some videos from other users that have made there money in the same way. 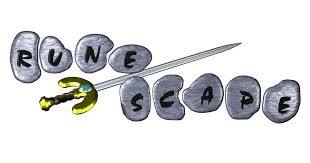 Use this Runescape loader to start playing the game click here to open it. So as a new player you begin in a secluded area, where you are taken through a tutorial, which gives you the most basic skills in RuneScape. these included the following, finding and cooking food,combat skills and many more i will show you what your skills will be after the tutorial levels. After the tutorial, players have access to tutors and advisors located in the towns they explore, who can give players appropriate information about their respective skills. As a new player there are some free to play quests that you can do to aid your skill levels to grow and you can do more to make your first million GP to start buying items of armour or leveling your skills.